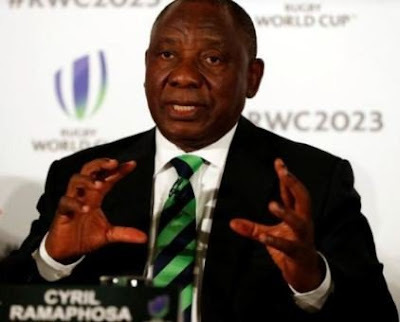 South Africa's parliamenta few minutes ago elected Cyril Ramaphosa, unopposed, as the country's new president just hours after Jacob Zuma resigned in a late-night television address after a nine-year rule. The African National Congress (ANC), which has a large majority in parliament, said earlier today that they would nominate the wealthy former business man who became Zuma's vice president since 2014 and that just happened. The appointment of Ramaphosa, leader of the ruling African National Congress party since December 2017, was met with anger by some members of the ultra-left Economic Freedom Fighters party, who walked out of the chamber in protest before the vote took place. The 65-year-old Ramaphosa who, as deputy president, became interim leader immediately after Zuma's resignation on Wednesday made his name as a trade union leader during the apartheid era and as the chief negotiator for Nelson Mandela, helping to shepherd the country out of white minority rule. When Mandela's presidency came to a close, he made it clear that he wanted Ramaphosa to succeed him. But Ramaphosa lost the race to lead the ANC and the country to Thabo Mbeki, another anti-apartheid leader who returned to South Africa after living in exile.